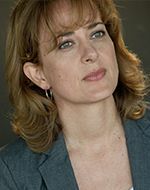 Elizabeth Mestnik ( Meisner Technique, Scene Study) is an award winning, actress, director and teacher. Elizabeth founded EMAS to bring her New York style of professional actor training to the west coast. -She received her MFA in Acting from Rutgers University under the tutelage of William Esper, Sandy Meisner's associate at the Neighborhood Playhouse for over 17 years, and New York's leading Meisner teacher. Mr. Esper highly recommends her as a teacher stating "Elizabeth is a first rate and versatile teacher, compelling, intelligent and dedicated, with a clear method that leads others to bring their ideas to light. I cannot say enough good things about her." She has taught at Rutgers University and Chapman University as well as various private studios. She has coached such renowned actors as Ed Asner, Fred Savage, Charles Michael Davis and Sharif Atkins in both New York City and Los Angeles and is on the referral coaching lists of numerous agents and managers. Her directing credits have garnered critical acclaim. The L.A. Times called her direction "dazzling" and "magical". Her students have worked in theater, film and television, including performances on Boyhood, Guardians of the Galaxy, The Good Wife, Criminal Minds, Key and Peele, ER, Law and Order, Arrested Development, The Office, 24, According to Jim, Still Standing, 40 Year Old Virgin, , X-Men, Broadway, off-Broadway, West Coast Ensemble, South Coast Rep, Cincinnati Playhouse, The El Portal, The Pasadena Playhouse, Taper Too!, Shakespeare Orange County and many others.